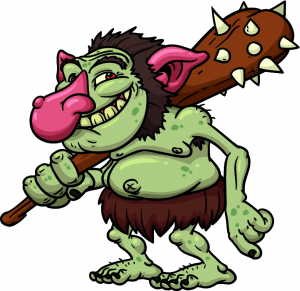 Goodlatte Innovation Act - Patent Trolls Addressed? Patent trolls (often referred to as Patent Assertion Entities), the creatures that live underneath the bridge of innovation and profit, attempting to benefit from those who wish to use their patents, all the while never actually using the patents they own. Even if their appearance rarely matches those of the fairy tale variety, patent trolls are a big problem in the modern sphere of innovation and creation. Currently patent trolls take up a whopping 62% of all patent infringement claims; having gone up from a still high figure of 29% only two years ago. This can be acknowledged is a problem, and calls have been made to address this issue. Finally the first step has been taken in doing so. In the United States a Bill was recently introduced called the Goodlatte Innovation Act, which seeks to remedy the changes introduced in the America Invents Act in 2011. According to the Bill's creator, Bob Goodlatte, the Act "...is designed to eliminate the abuses of our patent system, discourage frivolous patent litigation and keep U.S. patent laws up to date. These important actions will help fuel the engine of American innovation and creativity, creating new jobs and growing our economy". The CEO of Patent Trolls Inc. The measures the new Act takes is the introduction of the requirement to present information very early on in litigation, essentially justifying the infringement action. The action would then be assessed and should it not be deemed "substantially justified", the alleged infringing party would not have to pay the award sought by the plaintiff. The Act also introduces more stringent disclosure requirements, making the plaintiff submit more detailed information as to the patent being infringed, which specific claim of that patent is infringed, and how it is being infringed by the defendant. This clearly opens up the process and makes it more transparent for both sides, potentially impacting on vague threats over infringement resulting in quick settlements out of fear; exactly what patent trolls are seeking in their mode of operation. The Act also introduces joinder provisions which link any parties with a "financial interest" in the patent case, clearly targeting shell companies which are used for infringement claims in lieu of the controlling company. This would make the parent companies liable for any fees which would result in frivolous claims, preventing them from side-stepping them while still benefiting from any awards that could be won by the shell company in their claim. In addition it introduces an exception for any infringements that might occur in consumer use or through manufacturers' use of the patent. The court would have the ability to stay those proceedings until the matter between the main companies is settled. The Innovation Act is clearly something which the patent sphere has been yearning for in the US for the last couple of years, and with the aforementioned figures proving a clear direction in the abuse of patents through infringement claims, those actions need to be curbed. Although the Bill is a bipartisan creation, due to the divide in the current US government the Bill's passing is still in the air; however one could argue its passage is in the interest of both sides and the industry as a whole. Whether the Bill passes or any changes are made will be monitored by this vigilant writer, and I argue this Bill is an incredibly welcome change to the grand scheme of things.